June bursts with the fresh air and sunshine that marks the beginning of summer. Students take a break from school, graduates throw their caps into the air, and many brides and grooms say “I do!” As we welcome the arrival of summer, here’s a few ways you can pray with Only By Prayer through June. 1. National Cancer Survivor’s Day, June 7 — I included this event because of the sheer number of people who are battling/have fought cancer. I can’t imagine that there is a person who exists that doesn’t have someone in his or her life who is fighting this disease. I’ve lost dearly loved ones to cancer and know people in the throes of chemo right now, as I am sure you do too. Here is what the National Cancer Survivor’s Day website says about this day: “National Cancer Survivors Day® is a CELEBRATION for those who have survived, an INSPIRATION for those recently diagnosed, a gathering of SUPPORT for families, and an OUTREACH to the community.” Be sure to check out their suggestions; if you are putting together an event for this day, register it on their website. 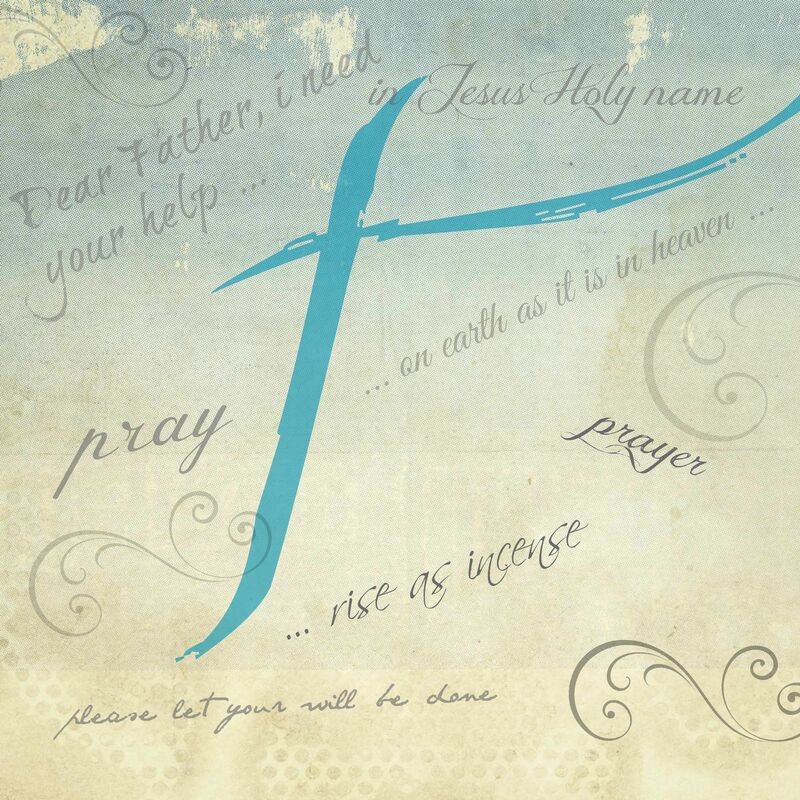 Prayer: Lord, we ask for your healing touch upon those battling the scourge of cancer. We pray that in Jesus’ name the cancer cells would be decimated and that their bodies would be free of this disease. Please comfort and strengthen the sick and their families and friends. We ask for wisdom for doctors who are treating patients and for researchers trying to find a cure. Amen. 2. Summer Vacation — Unless schools are on a year-round calendar, they will be taking a break starting in June. Let’s pray that kids will be healthily occupied this summer with jobs, enriching activities, and times for rest and play. Intercede against unhealthy associations, gang activities, violence, and criminal activity. We also need to remember the teachers who give so much of themselves and their personal resources throughout the year, while having to deal with ever-evolving rules and regulations in the schools. Summer Break Is Here: Now What? 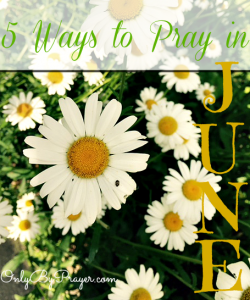 Prayer: Lord, we thank you for the break from a rushed schedule that summer gives us. May parents and kids find a healthy balance in the schedule where there is time for rest but also times of active engagement and work. We pray that there will not be an increase in violence. We pray for our teachers to receive rest, wisdom, and recharging for the next year’s work. In Jesus’ name. Amen. 3. Graduates — This is the time of year to celebrate high school and college graduations. For the graduates, it’s an exciting and stressful time. Most graduates are pursuing higher education and/or entering the job market and taking bigger steps toward independence. Some may also be getting married. Either way, it’s a transitional time of life filled with decisions. Prayer: Lord, we pray for our graduates. We ask for those a little further along the road of life to speak into their lives. We pray for wisdom. We ask that they will work hard, plan well, and manage their money wisely. Keep them from paths that would derail them in life, and help them to make decisions that bring life and health. May they know you as Lord and Savior of their lives. Amen. 4. Father’s Day, June 21 — While the modern world seems to minimize the importance of fathers in the lives of families, that is simply a lie the enemy perpetuates. A father’s presence in a family is critical to the development of children. Let’s pray for dads today that they will not be minimized or devalued, and that they will be active and involved in the lives of their kids. Why Do People Continue to Believe Children Don’t Need Fathers? Prayer: Lord, we pray that fathers would be a strong, loving presence in the lives of their children. Restore the dignity to manhood and a man’s proper place in the family, which is being denigrated in the mainstream media. We pray that our families will remain healthy and intact. We ask for wisdom for dads to be the godly leaders that you meant for them to be in a family. In Jesus’ name. Amen. 5. 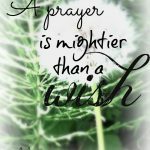 Prayer for Storm Victims in Texas — As you probably know, a huge storm dumped 10 inches of rain in one hour at the end of May, causing terrible flooding, damage, and the loss of several lives. Let’s be in prayer for all those affected by the recent storms moving through the country. Prayer: Lord, our hearts ache for those suffering losses because of this storm: loss of homes, properties, and lives. We pray for healing, comfort, and peace for those grieving. We pray for needs to be met and help to arrive. In Jesus’ name. Amen. Thanks for praying with us through this month. Please add any other requests below.